Noida is an incredible city and one of the largest financial and IT hubs in the country today. 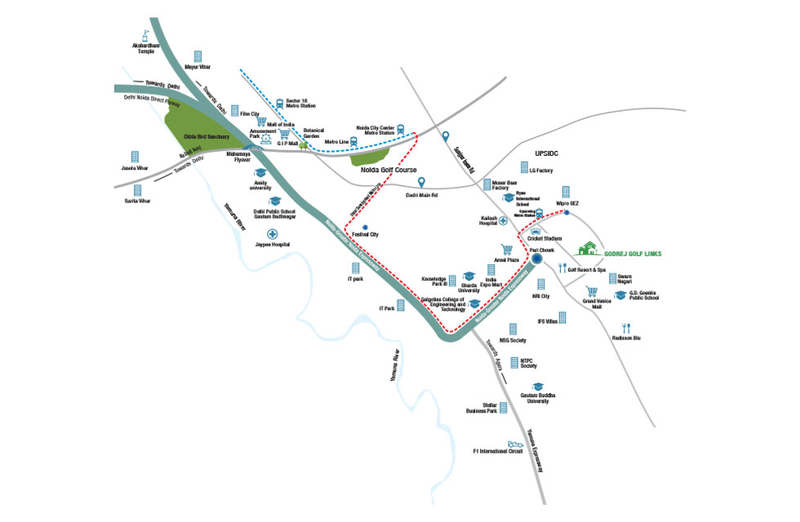 This part of the National Capital Region has a lot to offer its inhabitants. With the tremendous growth in different sectors all through the city, a lavish life is what you can live in Noida. The real estate sector in Noida has come a long way over the past couple of years and has a lot to offer today. 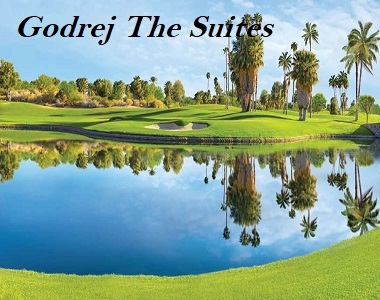 After the incredible success Godrej Golf Villas, the real estate giant Godrej Properties has launched its latest township development in Noida, Godrej Golf Links. Extended across 100 acres of land, Phase-1 of this development contains 3 glorious high-rise towers that offer 2BHK+Study apartments of different configurations that are fully-furnished and simply irresistible. With apartment area size starting from 134.71 sq. Mtr. feel the goodness of free space each and every day and experience a new world of luxury and comfort that will mesmerize you. 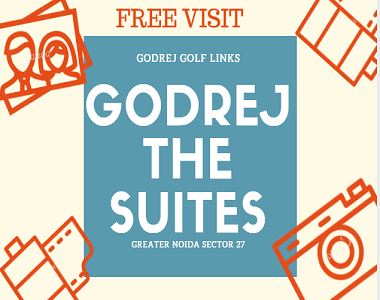 Godrej Golf Links Greater Noida is a township that is nothing short of magnificent. Offering the highest range of internal and external luxuries, every element of this development will satisfy your senses. The apartments are well-endowed and contain luxury furnishings and fittings, high-quality flooring, doors and windows, stylish modular kitchens, safety features and a lot more. The external amenities at this development are world-class and will always keep you active, fit, entertained and relaxed each and every day. The external amenities include 4 beautiful clubhouses for recreation, multiple sports facilities and a play area for kids, sandpit, 9-whole organic golf course, gymnasium, swimming pool, gorgeous landscape garden, 25 acres of luscious greenery, high-end security with watchdogs and the list goes on. Packed with awesome features, there is something new to experience at this massive development every single day. Located at Greater Noida, Godrej Apartments Greater Noida offers brilliant connectivity to other parts of Noida and the NCR while it also comes in close proximity to many landmarks like schools, universities, supermarkets, malls, shopping centres, hospitals, medical centres, restaurants, cafes, expressways, banks, ATMs, public transport, etc. 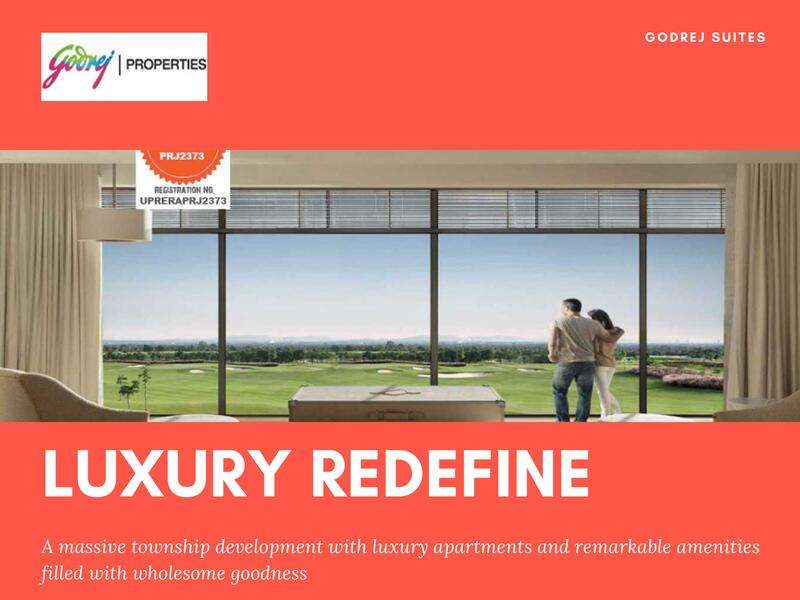 Godrej Properties is a real estate company that is known to offer the best at the lowest cost and the same applies to this fabulous development. 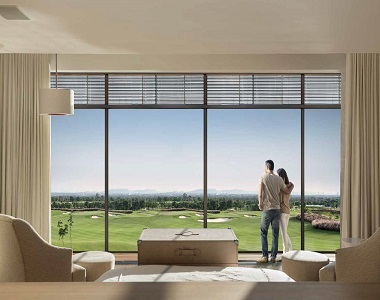 Starting at Rs.48 lakh only, every Godrej Golf Links Apartment is high on luxury, but low on cost. Without a doubt, an apartment at this development is definitely worth a purchase. You can choose from multiple payment plans according to your convenience and also opt for home loan facilities, NRI services and a lot more.